Yesterday a fire in a Lahore factory claimed the lives of at least 25 young workers who tried in vain to escape through windows that were barred. In another Pakistani city today at least 300 died in a fire at a Karachi garment factory. Trapped by bars on the windows and a bottleneck of panicked workers at the one exit to the building, many phoned their loved ones before the fire and toxic smoke overtook them. The back stairs exit leading to the roof was locked. 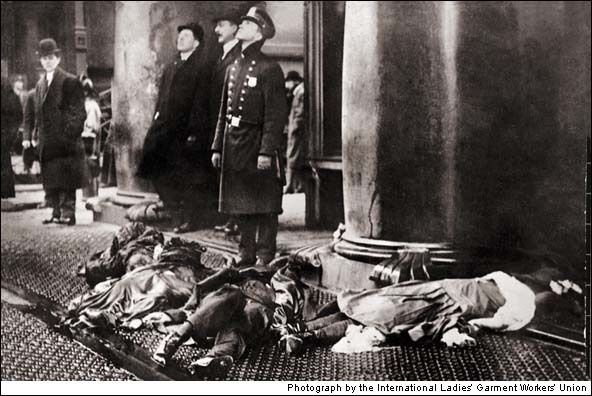 Faulty generators are blamed as possible catalysts, but our own Triangle Shirtwaist Factory fire may hint at another catalyst altogether – greed. I found the timing of these tragedies especially meaningful due to the Michigan Supreme Court’s recent approval of a Bargaining Rights amendment for our November ballot. As a firm middle-of-the-road moderate I buck the system of reviewing media that supports my beliefs because experience has taught me that I am often misinformed and always biased. My fact-finding missions are frustrating, but that is another topic for another post. One of the constants I count on is factual history and we know the when, why, and who of the Triangle fire in New York City on March 25, 1911. 146 women perished in that factory because most of the exits were locked by the owners to prevent theft and the one fire escape collapsed. Many of the women jumped to their deaths. There was no need for bars on the windows of the 8th, 9th, and 10th floors of the Asch building. 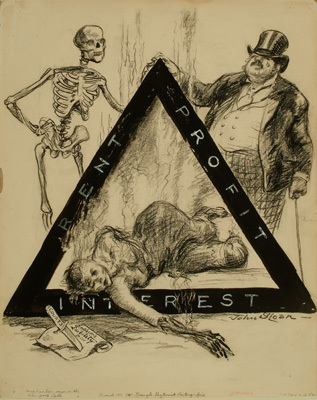 The Ladies Garment Worker’s Union was born from the Triangle factory tragedy and I credit the women that perished with the realization of worker’s rights, safety standards, and organized labor. They did not die in vain. Now the voters in Michigan are being asked to trust that these rights are secure and freely given by the generous owners of the corporations we work for. Recent history indicates otherwise as does personal experience. In a bottom-line work world can we afford to not learn from our history? Although Pakistan is a world away, globalization connects us, as does our need to work to live. We mainly affect our own communities with our votes, but we affect the world with our dollars. My stomach turned when I read that more workplace tragedies happen at this time of year as third-world factories increase production for Christmas. As always: take what you want and leave the rest behind.